When Detroit Medical Center sold its seven hospital outpatient pharmacies to Walgreens Co. earlier this year, DMC pharmacy managers warned that Walgreens at DMC had no contractual relationship with Molina Healthcare of Michigan, Blue Cross and Blue Shield of Michigan and Blue Care Network—major insurers for hundreds of DMC patients. Since July 30, when Walgreens assumed management of the pharmacies at DMC, some patients seeking care at DMC hospitals have had to travel 10 miles or more to get their outpatient prescriptions filled at other pharmacies to receive discounts under their health insurance plans. Some patients paid out of pocket and others left the DMC pharmacies without having prescriptions filled, said a DMC pharmacy source, who asked for anonymity. Some advanced medications that require complex compounding by pharmacists also can't be mixed at the Walgreens at DMC because of various licensing and staffing limitations, the DMC source told Crain's. Another DMC source said Walgreens has a pharmacy near DMC's main campus in Detroit's Midtown that can mix some compounded formulas. Walgreens declined comment on compounding prescriptions. Spokespersons for Walgreens and Molina tell Crain's that they have nearly resolved the outpatient prescription issues. They say patients will soon be able to fill their prescriptions at the Walgreens at DMC pharmacies as they are negotiating a contract. A Blue Cross official said the company signed a contract Thursday with Walgreens at DMC and will reprocess claims that were previously denied. "We've been working closely with payers in the area to help ensure that the prescription drug needs of patients at these locations are met during this transition," Walgreens said in a statement to Crain's. "While Walgreens accepts most insurance, a small percentage of patients within one insurance plan have experienced a change in coverage at the pharmacies since the recent transfer. In these instances, our pharmacy staff has offered to transfer their prescriptions to other nearby pharmacies where their plan is accepted. We're continuing to work closely with this payer to find alternative solutions for patients." A Molina spokesman said arrangements have been with CVS Caremark, Molina's pharmacy benefit manager, to allow members to continue filling prescriptions at "DMC-affiliated pharmacies." The Molina spokesman said the company does not have a date when the contract will be completed. No further information was available. A DMC official was unavailable for comment Friday afternoon. In May, DMC sold its retail and seven outpatient pharmacies to Walgreens as part of a pharmacy reorganization. Terms of the transaction were unavailable, but the deal allowed DMC to save hundreds of thousands of dollars in salaries, bank the purchase price and collect regular rent from Walgreens, another DMC source said. DMC operated the outpatient pharmacies at Huron Valley Medical Center, Sinai-Grace Hospital, Harper-Hutzel Hospital, Detroit Receiving Hospital and Children's Hospital of Michigan. Walgreens now operates four pharmacies at Children's, Receiving, Sinai-Grace and Harper with shorter hours than under DMC ownership. The status of the other three pharmacies Walgreens bought from DMC was unclear. Over the past two years, DMC has been reorganizing its outpatient pharmacy operations, laying off and reassigning at least two dozen employees. Some DMC pharmacists were rehired by Walgreens, DMC has previously said. Besides the contracting problem, another issue has arisen involving DMC at Walgreens pharmacists mixing advanced prescription compounds, primarily for young patients at Children's Hospital of Michigan. Walgreens lacks a special license at its DMC sites to mix complicated compounds, the DMC pharmacy source said. "We regret the challenges faced by our patients and families as this had not been anticipated," said Valentini, who also is a professor of pediatrics at Wayne State University School of Medicine. "One question you may have is regarding hazardous compounded medications. This refers to medications that require a special compounding process due to the potential risks to the pharmacists in the preparation process. Please know that members of the (Children's) leadership team is meeting regularly to help resolve issues in this transition." 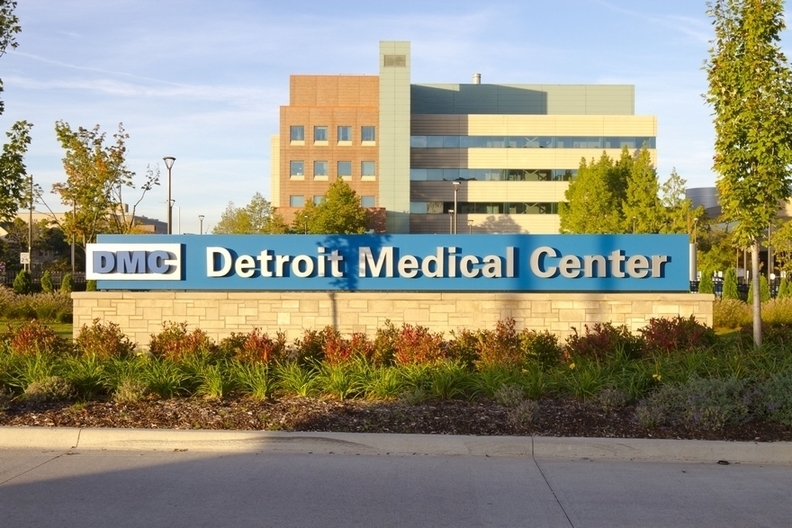 One of the problems is many Molina and Blue Cross patients who go to DMC live in Detroit and take public transportation to the hospital, the DMC pharmacy source said. "Many pediatric medications have to be compounded and the pharmacy has to have a special license to mix these into nonstandard forms," the DMC source said. "The most common reason is that there is no pediatric formulation or the formulation is too high a dose for kids. The pharmacy has to make a small child version of the drug." The DMC pharmacy source said many children need compounded formulas because of kidney, heart and liver transplant programs at Children's and the number of children with congenital heart conditions. These patients have to travel distances to get these medications or wait 10 days to two weeks for mail order. "As for the toxic compounding: all of our sickle cell kids (Molina) are on hydroxyurea," the DMC pharmacy source said. "Because this medication can be toxic to the pharmacist making the solution (it is only available in tablets), a special setup is needed to do the compounding. This has become a greater issue because there are fewer compounding pharmacies that will do this." At Children's Hospital, Walgreen's pharmacy is open from 9 a.m. to 6 p.m. weekdays and 9 a.m. to noon on Saturdays. The DMC source said the new Walgreens hours are far shorter than when DMC operated the pharmacy and poses a problem for some patients, especially those having outpatient surgery. The nearest Walgreens after hours is in Troy, creating transportation problems for some patients, the source said. Valentini also answered several "frequently asked questions" in his memo. Molina prescription refills: "Walgreens is currently not in the Molina network. Walgreens, Tenet and Molina are working together to include the four DMC Walgreens sites to accept Molina insurance to resolve this long term. Walgreens pharmacy staff will contact the patient if they are not able to fill a Molina prescription." Valentini listed several other pharmacies where Molina patients can receive compounded medications, including RxCare Pharmacy in Detroit, University Compounding Pharmacy in Troy, Pharmacy Solutions in Ann Arbor and CVS Specialty Pharmacy for overnight delivery. Michigan Blues spokeswoman Helen Stojic said the insurer began working on adding Walgreens at DMC to its contracting network since July 30. The plan contracts with other Walgreens pharmacies in Michigan. "We needed certain information from Walgreens to complete the contracting process for the pharmacies now under their ownership. We just received the information from Walgreens (Aug. 16)," she said. "We are pleased that the situation has been resolved and these pharmacies should be able to process Blue Cross prescriptions now. We also will reprocess claims previously submitted during the transition." "DMC outpatient pharmacy plan with Walgreens encounters problems" originally appeared in Crain's Detroit Business.